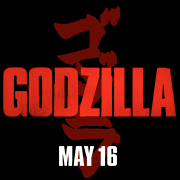 Watch the Official Trailer of Godzilla Starring Aaron Taylor-Johnson, Ken Watanabe, Elizabeth Olsen, Juliette Binoche and Sally Hawkins with David Strathairn and Bryan Cranston. Film is directed by Gareth Edwards. Release Date: May 16th, 2014.